1.) Holy Rosary Parish Church – Locally called as “Pisambang Maragul”, is a famous preserved and landmark in our city well known for its history during the Spanish colonial. From being built by forced labor and unpaid work from 1877 to 1896; to being used as an execution grounds and medical military base, this says a lot on why shouldn’t miss this. 2.) Didi’s Pizza – Why this of all pizza sellers in our city? Simple, the taste of the food. Didi’s Pizza is famous among our locals, aside from the food’s delicious taste, you’ll be delighted with its price. Don’t be surprised to get a whole family size pizza for around $ 5-6. 3.) 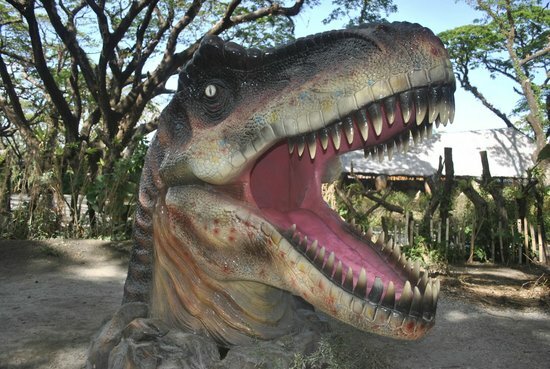 Dinosaur Islands – Fulfill your childhood fantasy and explore the wild forest filled with this realistic and life size Dinosaurs. 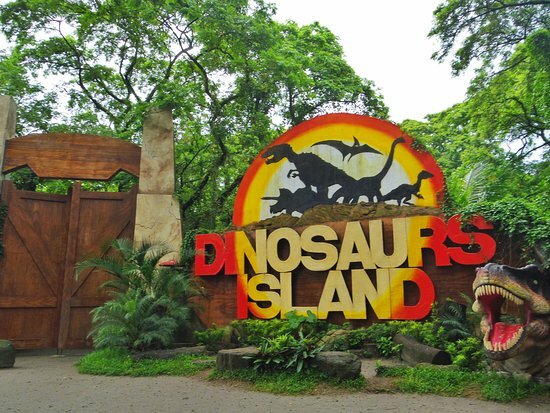 With this adventure-packed, eye-entertaining and learning experience for kids and kids at heart, this place will bring you to another world of excitement. 4.) Deca Wakeboard Park – Of course, your full blast experience will not be complete without an extreme water adventure. Award and challenge yourself with a new way of enjoying the water with Deca Wakeboard Park. Test your limit and dare to dive! With its fair price ranging from an average of $3-4/hour (gears included) of pure fun and unforgettable experience, you’ll certainly far from regretting it. 5.) Sizzling Sisig – Trying the Kapampangan’s pride cuisine is definitely a must and you shouldn’t miss. Why? Well, even local from other cities travel to our city just to have that distinct delightful taste of Kapampangan sisig. It is a dish made from pork jowls, ears and liver, mixed with minced onions and seasoned with calamansi and chili peppers. This dish is not hard to find as some of the local restaurants and canteens offer this. In our city, transportation is never a problem. All day accessible public vehicles around are basically just everywhere. Different rates may apply depending on the area. However, you shouldn’t miss riding our iconic public vehicle, Jeepney. Aside from it’s super cheap as riding this for 6 times will only cost you a single dollar, it’s the experience and the fun that makes it exciting. So, what are the odds, Adventurer?